A rare topic to cover from EDGY JAPAN. 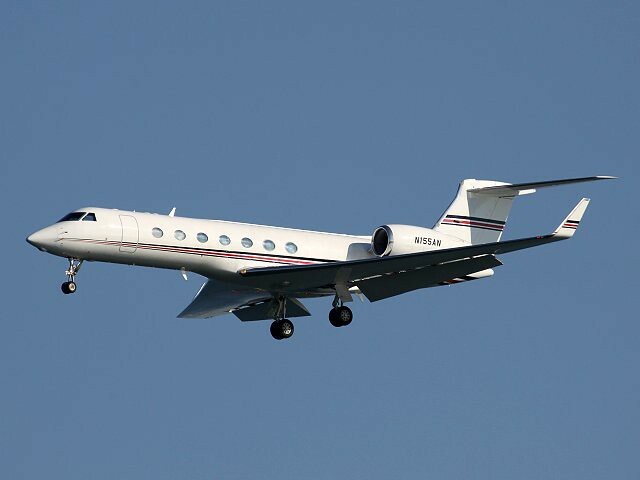 This is a private jet, owned by a multi-national company, based in Japan. Here's a question -- what company is this? Answer, Nissan Motor Company, one of the major automotive companies from Japan. It's pretty neat that Nissan chose a plane, registered as "N155AN" -- which can be interpreted as, obvious to say, "NISSAN." Though EDGY JAPAN is not personally attached to Nissan or its CEO, Carlos Ghosn, this is worth mentioning. Mr. Ghosn visited its Iwaki Factory, located in a proximity of the recent earthquake epicenter. Later, Nissan admitted that the automaker will never pull out of operations in Iwaki. Mr. Ghosn had a caht with Mr. Takai Watanabe, Iwaki Mayor, and pledged that Nissan will contribute to the regional economy by reviving the plant's operations, company.